The Armenian National Congress (ANC) will run separately in the upcoming elections to the Yerevan Council of Elders, a senior representative of the bloc said on Thursday. 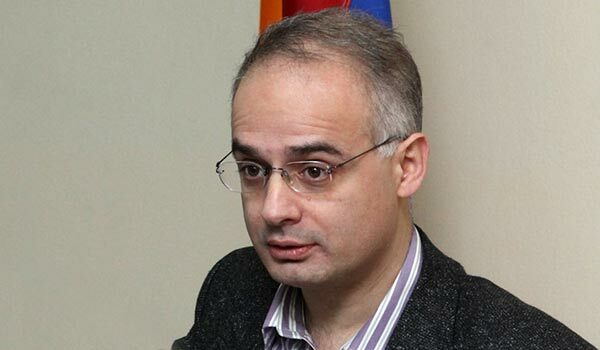 Talking to RFE/RL’s Armenian Service, head of the ANC parliamentary faction Levon Zurabyan said that negotiations among four political forces, including the Prosperous Armenia Party, Heritage, and ARF Dashnaktsutyun, around forming a bloc to contest the elections jointly had not been successful. Still, the ANC representative called for cooperation among the four forces before, on and after the election day, which is slated for May 5. In particular, Zurabyan suggested that they should make the authorities the main target of criticism, jointly prevent fraud and riggings on Election Day, and coordinate actions after the election (if the ruling Republican Party fails to secure more than 40 percent of the vote) to prevent it from electing its mayor. Prosperous Armenia and Dashnaktsutyun have also unveiled their top candidates in the municipal election. Heritage is due to clarify its position later this week. Political parties and blocs willing to participation in the Yerevan elections are to submit their candidate lists by March 21.